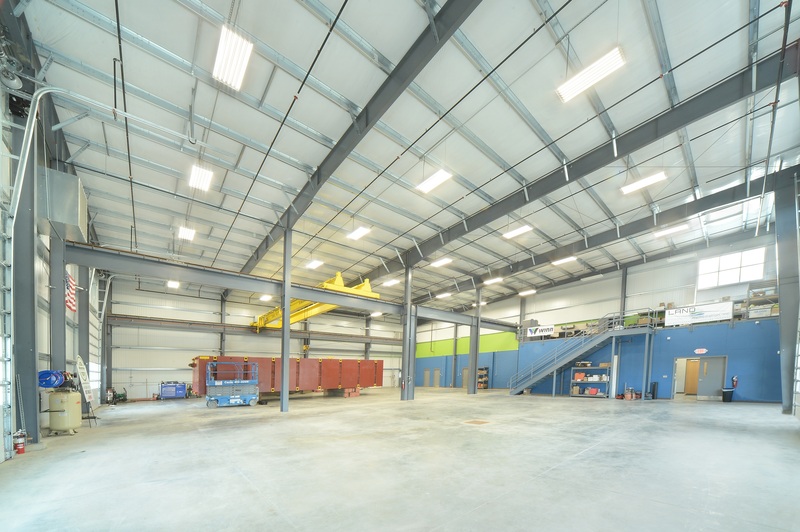 Land Remediation’s new facility was constructed with insulated metal panels from Metl-Span. 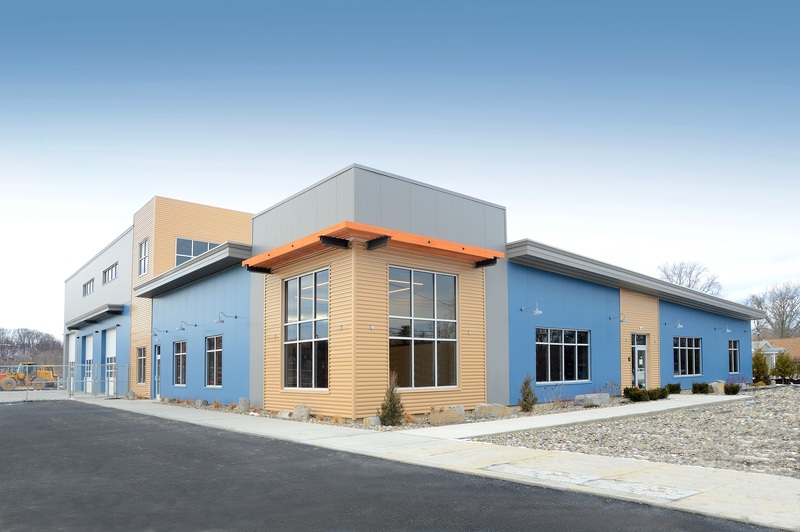 Just more than 13,300 square feet of 3-inch thick insulated metal panels were installed by Munter Enterprises of Middle Grove, N.Y. Munter installed 9,330 square feet of Santa Fe panels with a 26-gauge Galvalume Slate Gray exterior finish, and 3,972 square feet of CF42 Light Mesa panels in 24-gauge Galvalume Slate Blue exterior finish. Metl-Span’s Santa Fe panel has a flat exterior with a heavy embossed, stucco texture that mimics the look of a masonry stucco finish. The CF42 Light Mesa panels feature a lightly corrugated profile on both the exterior and interior. Interior panels are all in the Light Mesa Igloo White finish. Munter Enterprises used another NCI Buildings product line called Masterline 16 produced by MBCI out of Rome, NY. 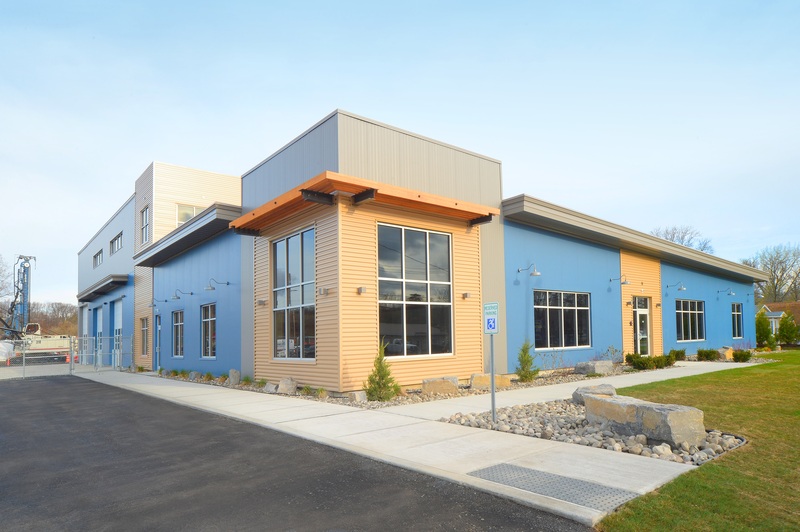 A Saddle Tan color was selected as an accent over the insulated metal panels. The CF42 panels offer several benefits that help reduce installation time. The CF42 panel comes with backup plates which provide secure endlap conditions, so there is more metal to screw into, allowing the panels to stay in place longer and install easier. 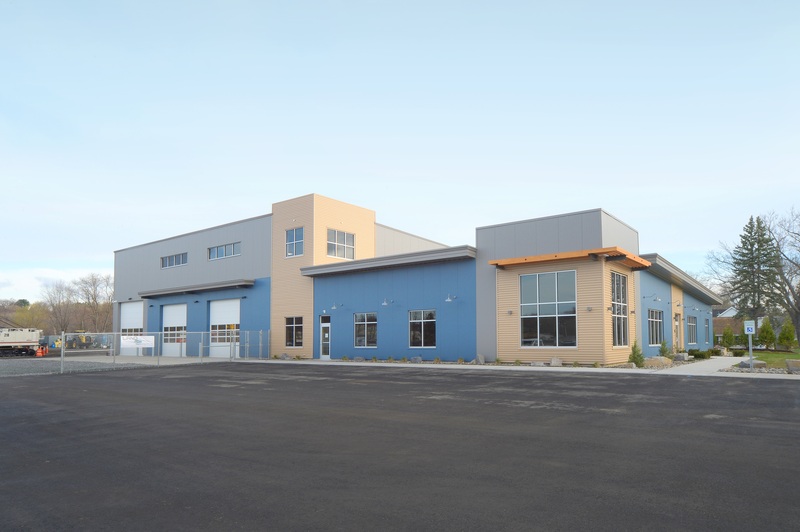 All prefab notching is done at the manufacturing plant and factory cutbacks, at no additional charge, provide cleaner endlaps and help speed up installation. 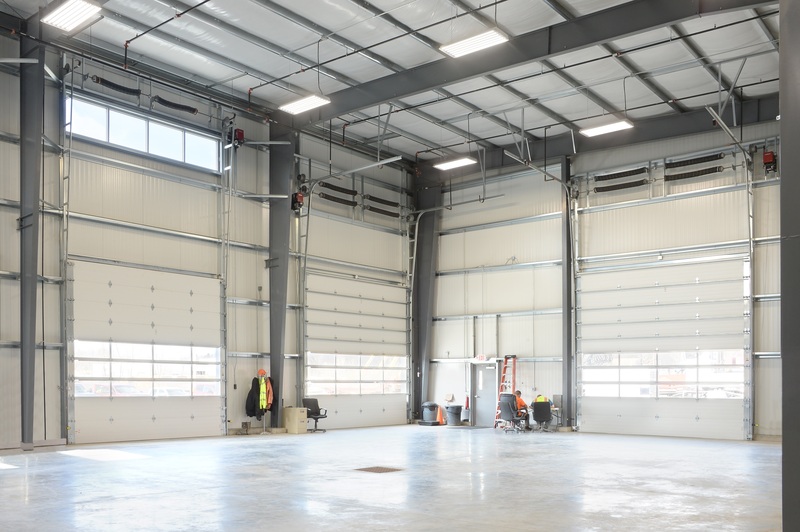 Munter Enterprises was onsite for seven months, finishing up the project in March 2017. Architect: Paone Architecture, Saratoga Springs, N.Y.
IMP Installer: Munter Enterprises, Middle Grove, N.Y.